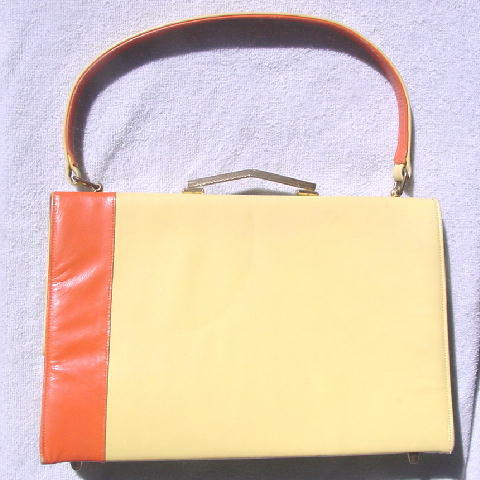 The vintage Stylecraft Miami purse has a left side 1 1/2" wide vertical orange strip. 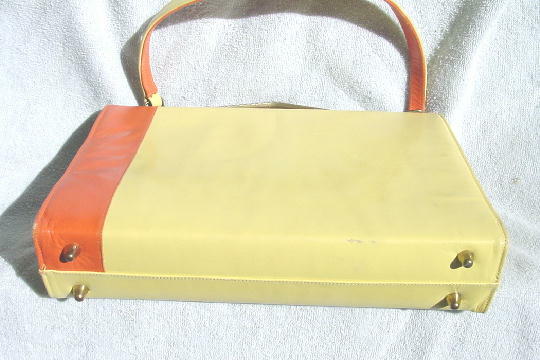 The 14 1/2" long handle is yellow leather on the top and orange underneath. The bottom front orange corner has a small area where the orange color has worn off. 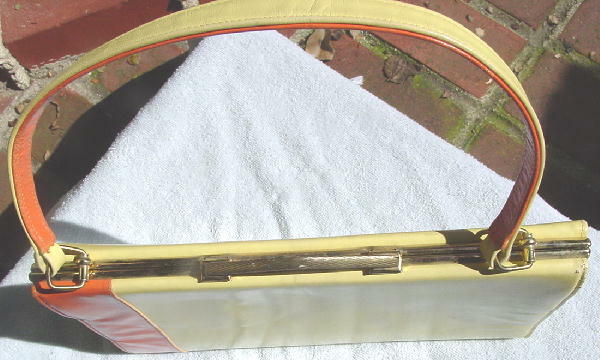 The top closure is a ridged gold-tone elevated (in the center) bar. The yellow exterior has a few indentations and small dark marks. The upper right corner has a small scuff mark. 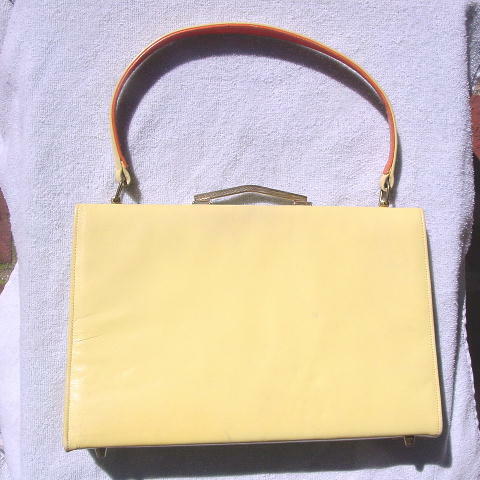 The bone color interior (feels like vinyl) has a back side zipper compartment lined in a honey color fabric and an open pocket. The interior doesn't even look like it's been used. 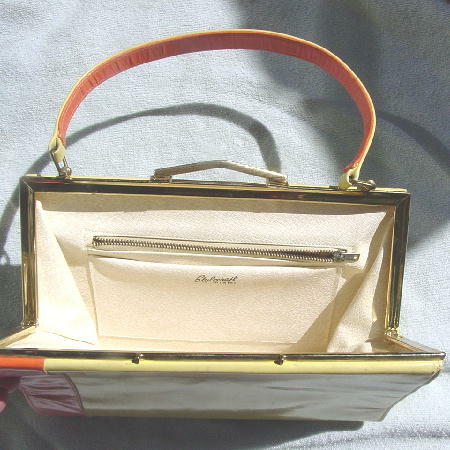 It's from a stylist's inventory, and was used in 2 movies and a magazine photo shoot.